"...has a progressive profile compared to a field of mostly unreliable and/or exposed types, so he’s a confident choice..."
Cybalko has posted some fairly useful efforts over fences this winter (probably would have won but for falling last at Southwell in March) and could take a bit of stopping dropped to a seller on his hurdle return. Big Fred was placed in novices last year and is a possible threat with Richard Johnson taking over in the saddle. David Pipe's Dream Free is also respected. The big-field juvenile handicap which Legal History won at Ascot recently appeals as strong form and he looks well treated under a 7 lb penalty. Sao has yet to click for Paul Nicholls but that could change having had his wind operated on since last seen in November. 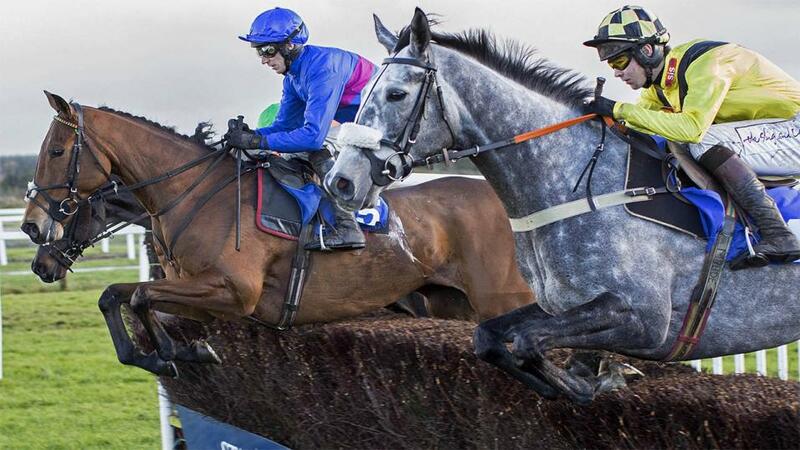 Red Mix will also be in the shake-up if able to return to the level of his Ludlow second in February. Nesterenko remains on a handy mark in this sphere if able to back up his latest second at Stratford so has to be taken seriously. Nikki Steel made a winning comeback on only his second start over fences at Market Rasen 2 weeks ago and could be the main threat if this doesn't come too soon, while Dr Des is slipping to a competitive mark. Blackmill didn't go on as expected over fences but his mark has plummeted as a result and, with his attentions now switched back to smaller obstacles, he could well be worth chancing to get back on track. Dollnamix looked a likely winner before falling at Taunton in March and he is feared, along with Triopas and Mrs Miggins. Urtheonethatiwant has a progressive profile compared to a field of mostly unreliable and/or exposed types, so he's a confident choice ahead of another lightly-raced sort in Hot Ryan, who made a pleasing handicap debut last time. Mr Magill should be thereabouts, too. An open race. Halloween Harry was in the process of showing improved form when unseating his rider 3 out here 16 days ago and looks well worth the chance to build on that. Hard To Forget could easily have more to offer, while Move Above is open to further progress now making the quick switch to handicaps upped in trip. Coopers Square progressed again to make it 4 wins from his last 4 completed starts at Warwick 12 days ago and probably has more improvement in him. Heluvagood won over this C&D off 1 lb lower in November and his latest effort here was a step back in the right direction, so he is next best ahead of Sartorial Elegance, Cap Horner and Kiwi Myth. Dicky Bob ran out a ready winner of a point recently and looks well capable of making a successful return to Rules in a race where most of his rivals have something to prove. Glen Roe, who made a winning start over hurdles late last year, ranks as the main threat ahead of Herbert Park.